I had been in Fontainebleau, France for a only 3 days when it was time for me to go chase some waves. Donna and had flown to Paris on January 1st, still recovering slightly from the previous night’s New Year’s festivities. We arrived at our new house in Fontainebleau on the morning of January 2nd, which was a Saturday. On Sunday we met the landlord and the other roommates and unpacked. Monday was Donna’ first day at INSEAD where she went through the usual college orientation sessions. That day I spent hanging around the house and noticed the surf forecast looked very good for the Iberian Peninsula and Morocco. The Atlantic would be on fire with swell for the next 2 weeks and I found that airfare was cheap to both Lisbon and Agadir. After getting Donna’s sign off, it was surf trip time! I deliberated for about half a day and decided to buy the ticket to Lisbon because a strong high-pressure system would result in good conditions and sunny weather for Portugal. Combined with the large, long period groundswell I knew it could be epic. I pulled the trigger on the airline tickets also rented a very fuel-efficient diesel station wagon, the perfect vehicle for chasing waves. 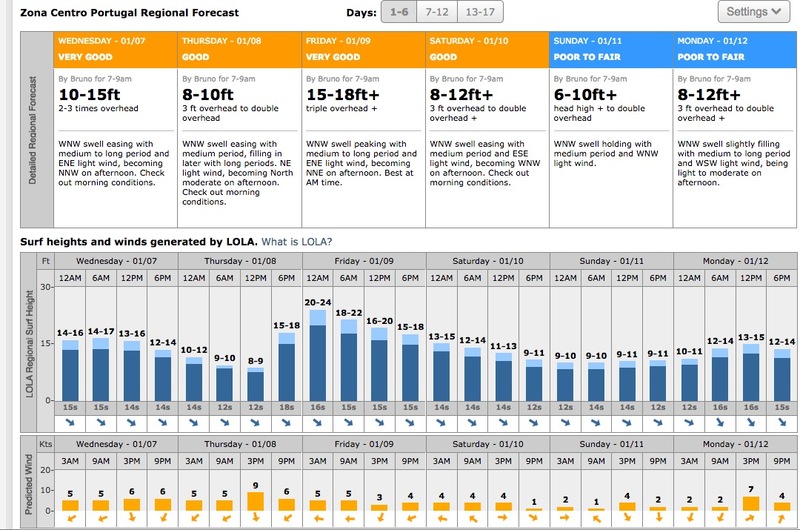 Now that is a surf forecast to get excited about! 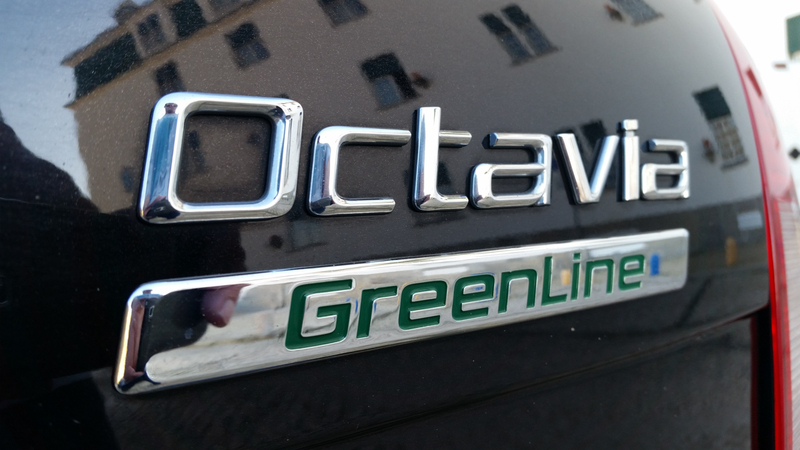 The Skoda Octavia GreenLine edition… my station wagon for the trip that gets 50 mpg! The trip came together fast. My surf bag was already packed from the journey to France and I lugged it from my house to the Fontainebleau train station, then through the Parisian metro and to the airport. I arrived in Lisbon around midnight, got the car, and checked into a cheap downtown hotel and hit the sack. 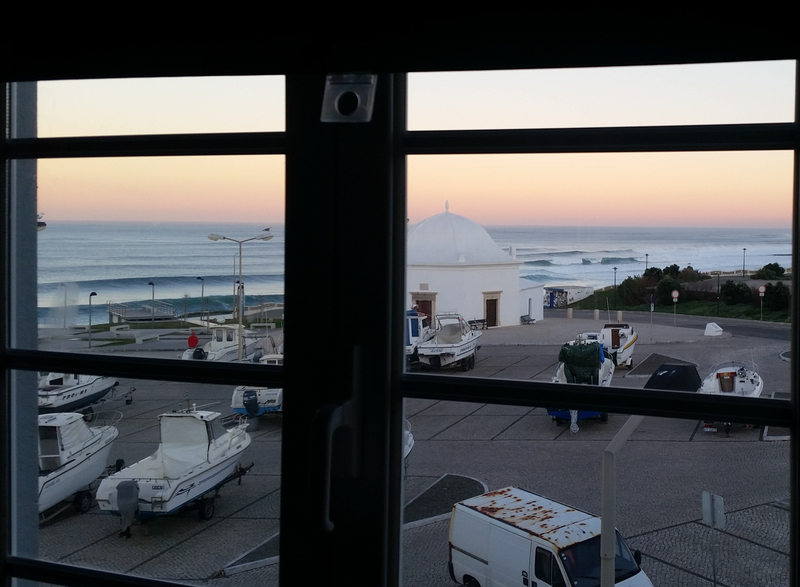 I woke up early the next day and drove straight for Ericeira, the most wave rich stretch of coast in Portugal and home to the first World Surfing Reserve. 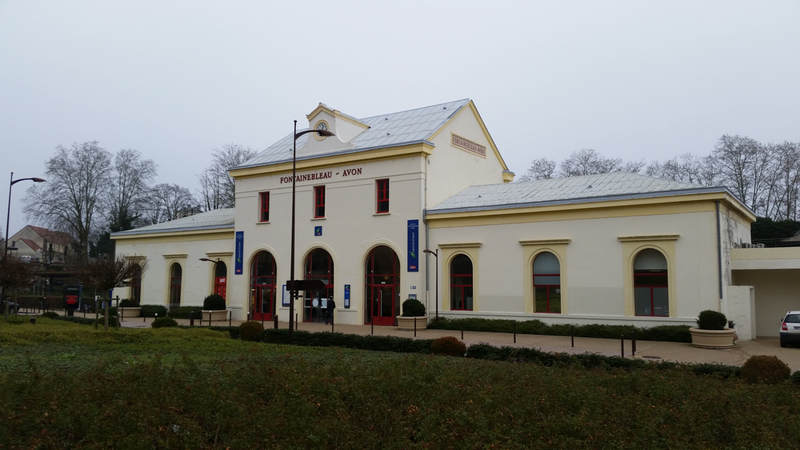 The Fontainebleau train station. I’d be leaving grey skies and cold weather for a sunny and warm Portugal. 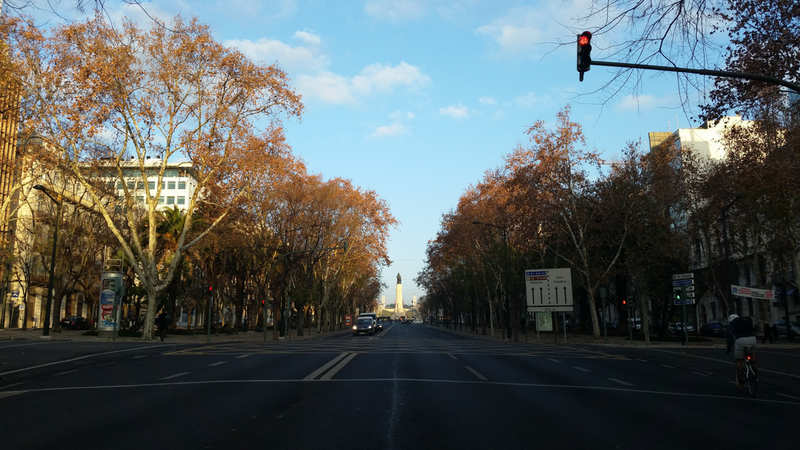 Driving through downtown Lisbon early on a Wednesday morning. 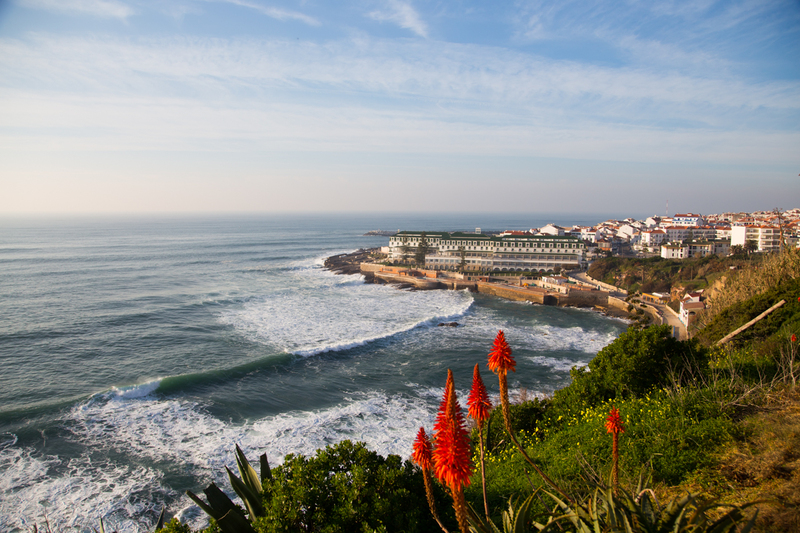 Ericeira is home to the world’s first World Surfing Reserve. We need more of these! 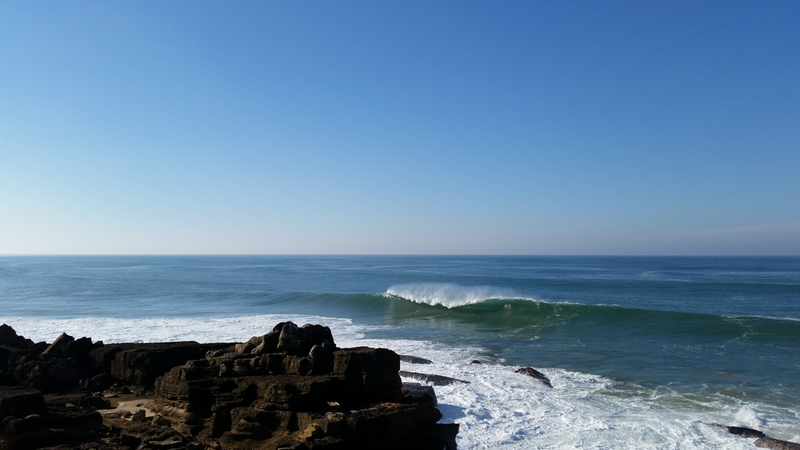 My first good glimpse of the ocean revealed solid surf lines stretching across the long point called Ribeira d’Ilhas. The wind was light and offshore, pretty much perfect conditions. The strange thing was that I couldn’t really see anyone surfing! 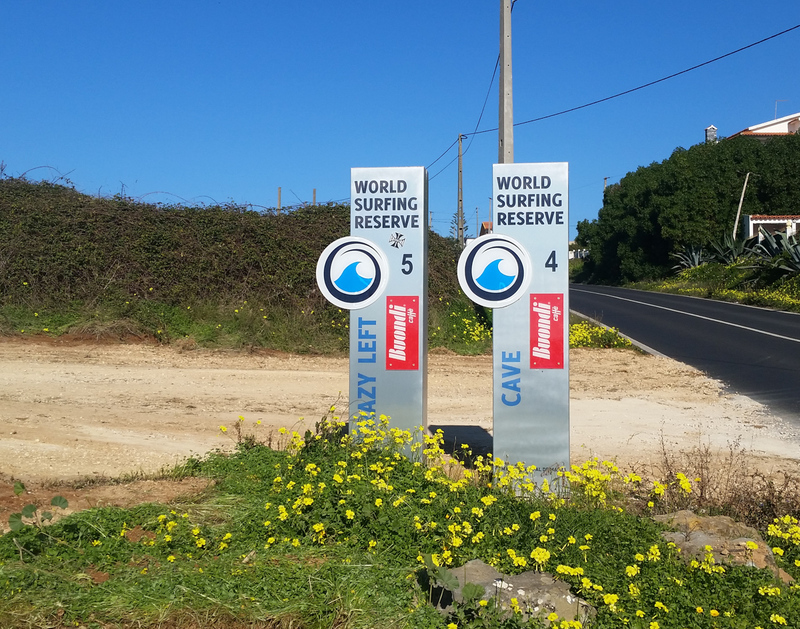 I drove farther north and checked a few more spots, all of which were very conveniently labeled with roadside posts due to the World Surfing Reserve. But nobody was surfing anywhere! Eventually I met a local who was walking his dogs while hiking the cliffs in front of a righthand slab called Cave. He basically told me that with this much swell most all the spots were maxed out, but that I should check a right point in town called Furnas. It took awhile to navigate my way through the maze of small streets in the center of Ericeira but eventually I found the wave and a place to park. The session was good and I was already glad to have brought my bigger 7’4” board al the way from SF because it was very clear there would be plenty of juice on this trip. My first glimpse of the surf in Portugal got me very excited. 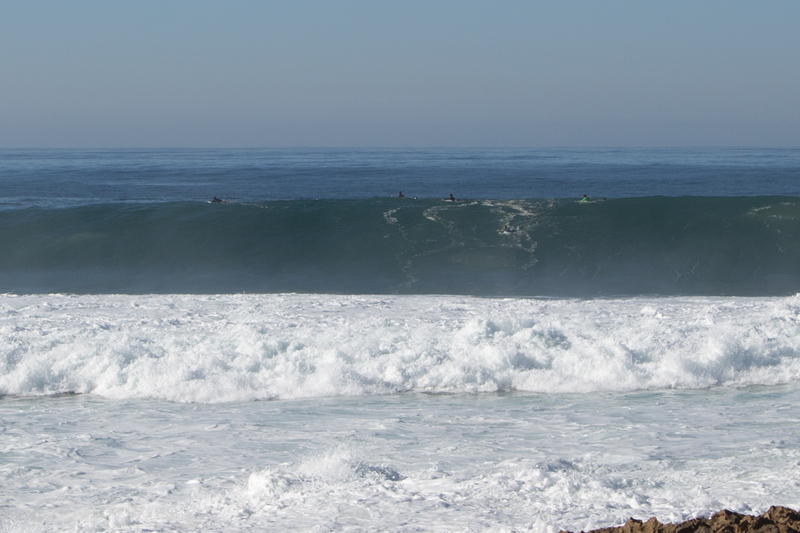 Big waves and perfect conditions at Ribeira d’Ilhas. Nobody out seemed strange, perhaps because that wave is bigger than it looks. I ended up surfing Furnas, which is right in the town of Ericeira. It was fun and I was the only one out for awhile. After the session I found a spot to have lunch and then began searching for a place to stay. The first few hostels I drove to had nobody inside to respond to my inquiry. Eventually I found the aptly named Lone Surfer Hostel and I was able to secure a spot in the communal dormitory room for a mere €13 per night, which was an amazing deal considering there was nobody else staying in the dormitory so I essentially had an entire apartment to myself! This was all good, but I found it strange that Ericeira seemed to be so devoid of travelling surfers at the height of the surf season and with good waves and beautiful weather in the forecast. 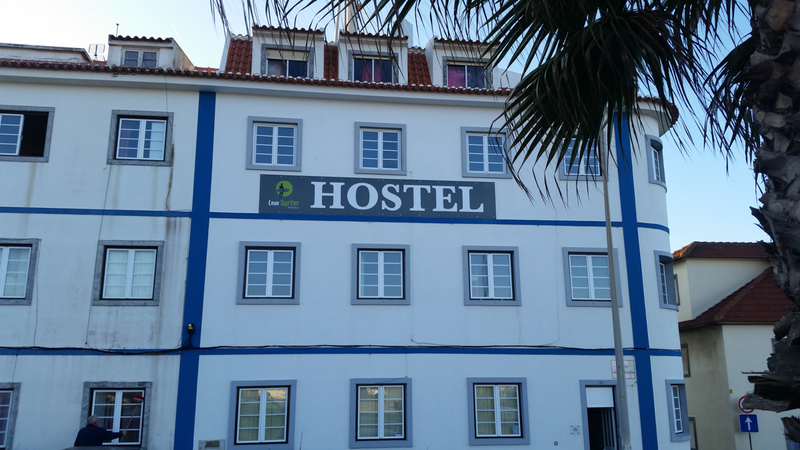 The aptly named Lone Surfer hostel where I stayed while in Portugal. I resided in the 3rd story dormitory, which was basically a private apartment for me since nobody else was there! My morning view from the 3rd story of the Lone Surfer Hostel. Look at those lines! 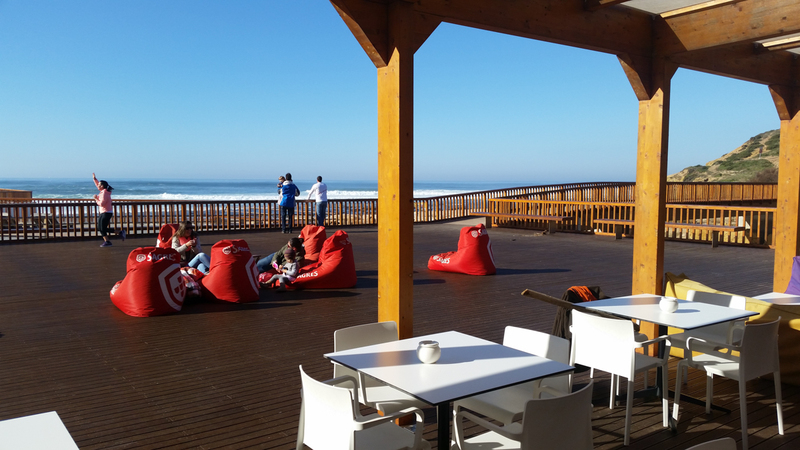 Eventually I learned that Ericeira is primarily a surf destination in the summer, when droves of tourists from the UK and around Europe flock to the warm beaches for sun and surf lessons. But the irony is that in the summer the surf on the east coast of Portugal is at its worse: onshore winds and a lack of swell dominate. But the surf shops and learn to surf schools thrive on the influx of vacationers! Meanwhile, in the heart of the winter surf season I encountered only a handful of traveling surfers like myself. My guess for a reason behind this is that Portugal is still somewhat off the map as a surf destination for serious surfers, who would usually prefer exotic warm water surf destinations for their vacations. Another factor is that good waves at many spots are dependent on good wind conditions and, much like in Northern California, onshore winds are much more common. One local I talked to mentioned that their favorite time for surf in Portugal is in the autumn, when the swells are somewhat smaller and the conditions more likely to be good. Again, this is often the case in Northern California as well, and the similarity is not surprising considering both sit at 38 degrees latitude and are west facing. 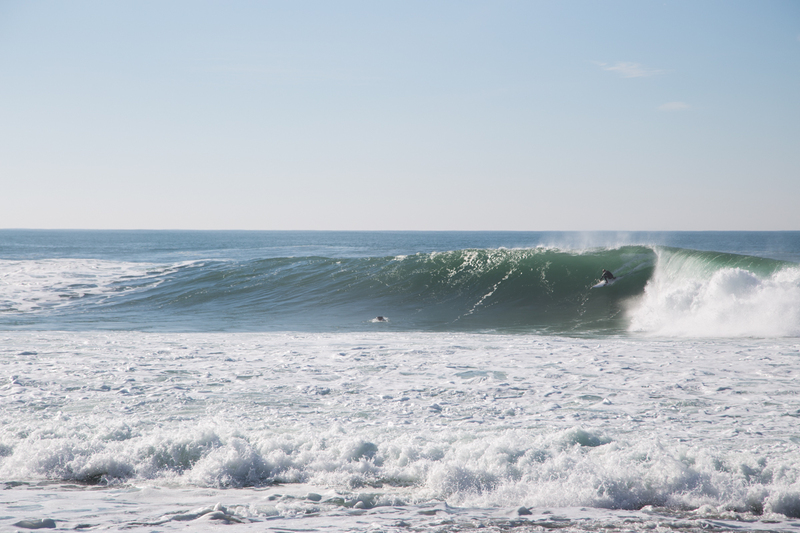 I timed my trip to Portugal to coincide with a late season high pressure system that created gorgeous, warm weather and light offshore winds, but really the big problem I faced was finding surf spots that could handle the 3+ meter, long-period groundswells that were coming. Hence I understood why this particular local said he prefers smaller swells, more in the 1-2 meter range, which hit the Ericeira spots well and create more manageable waves. 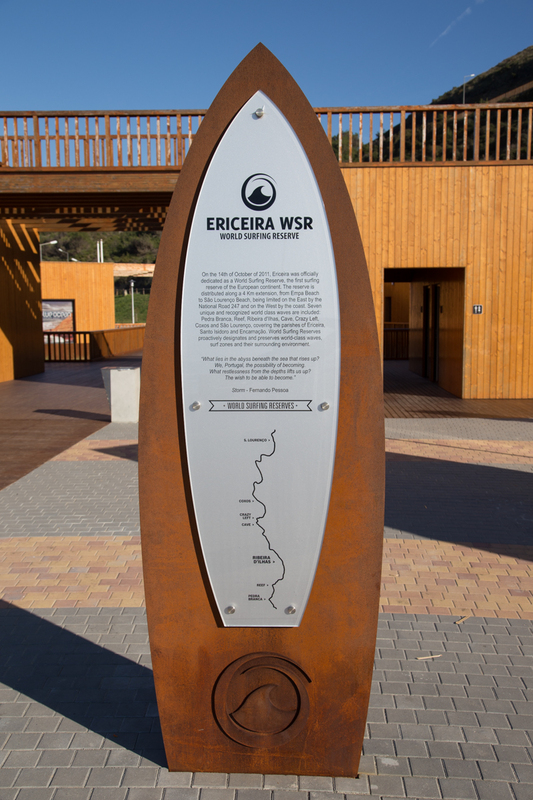 I have only ever seen surf spots marked by markers like this on the road here in Ericeira. 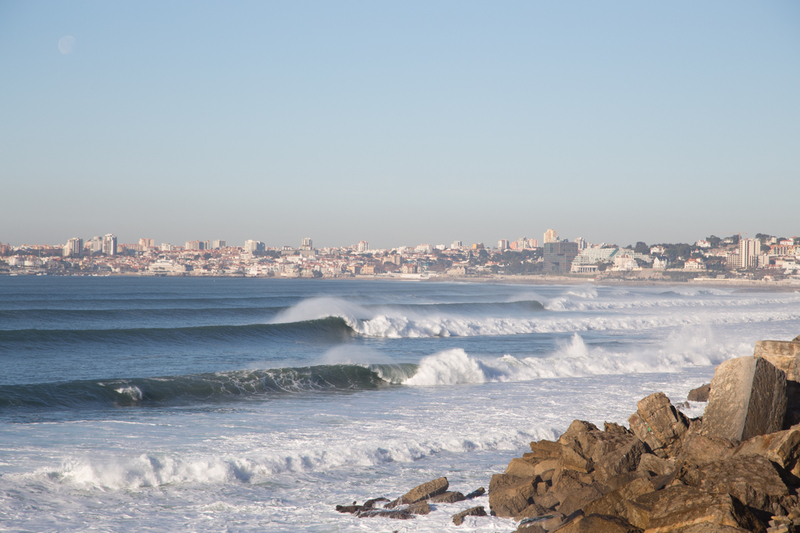 Over the next 3 days I surfed a number of different waves between Lisbon and Peniche. 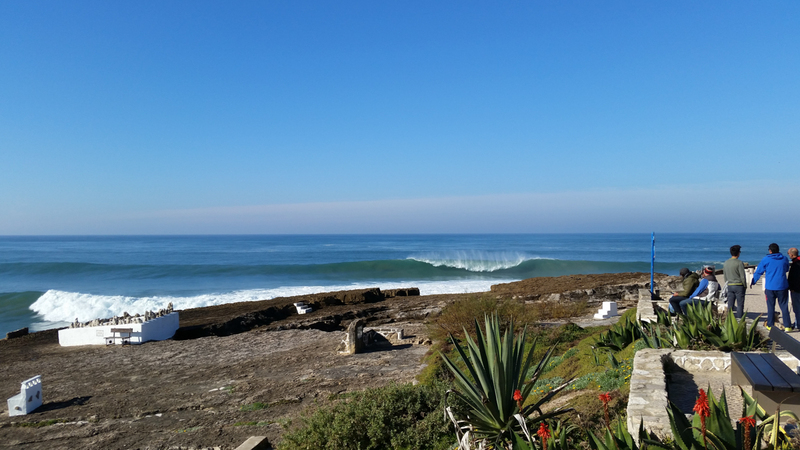 The best and most consistently good wave in Ericeira is Coxos point. During my first session a number of locals were out and getting the best set waves that would barrel over the shallow, urchin infested rock reef and then peel far into the cove. Two days later the swell was a few notches larger and Coxos looked more like an intense slab than a point, with a very heavy 50-yard barrel section that would then wash out through the cove. Simply put, that day was too gnarly for me, so I watched and took photos of the guys out there, all of who were professionals, including “Portuguese Prince” Nick Von Rupp and former WCT surfer Aritz Aranburu. Coxos on the big day, surfer pulling in. On big days it acts more like a slab as after the long barrel section the wave washes through the cove instead of peeling. And this photo demonstrates why it was basically pros only out there. 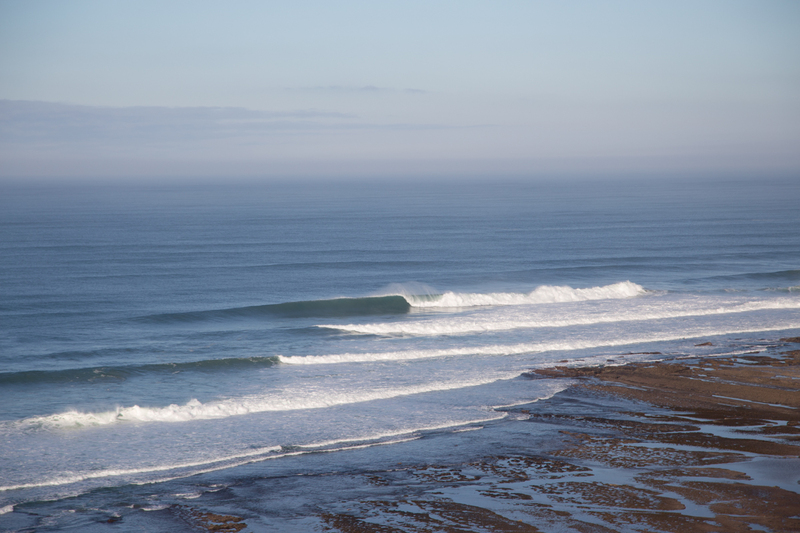 15 foot top-to-bottom waves and a shallow and sharp reef below. This place can produce severe beatings! The morning of that big day at Coxos I surfed alone at a wave called Pedra Branca. Usually this wave is a left, but that morning the swell was too big for the left although a long right was working that would send me a few hundred yards towards Praia do Norte. It was pretty cool being the only one out and able to easily get the few good waves that came through. Pedra Branca the morning I surfed it. Nobody else out there and bigger than it looks! Besides surfing Furnas, Coxos and Pedra Branca, I spent a lot of time watching and photographing the other waves in Ericeira. The most alluring of them is known as Cave, which is an extremely shallow, dangerous righthand slab. At one point I was watching and taking photos of Cave when Aritz Aranburu and his crew of pros and a photographer showed up and watched it with me for a while. It must not have been properly working or something since they didn’t surf it, but some of the photos I took reveal a wave that is at least perfect for mind surfing. A famous session with Kelly Slater went down at Cave last year (see video here) and even one of the best tuberiders in the world, John John Florence, was injured here a few years back (see this article), which goes to show just how gnarly the wave is. By in large I have been conditioned to think the more swell the better, so it was strange for me on this trip that my wave searching effort was spent looking to find waves that were smaller and manageable rather than big and exciting. On the biggest swell day I had to drive south to Lisbon where the coastline faces south and was thus somewhat sheltered from the large NW swell, which was maxing out all the Ericeira spots. As I drove east from Cascais along the Lisbon coastline I saw swell lines stretching for miles and I took a few nice photos. Eventually I came to the beach of Carcavelos where the waves were still well overhead and nicely groomed by northerly winds. I had a fun session, but the waves were mostly closeouts. Looking west along the south facing Lisbon coastline towards Cascais. Waves for days. While in the water at Carcavelos I talked with a surfer who mentioned that Supertubos would also be good. 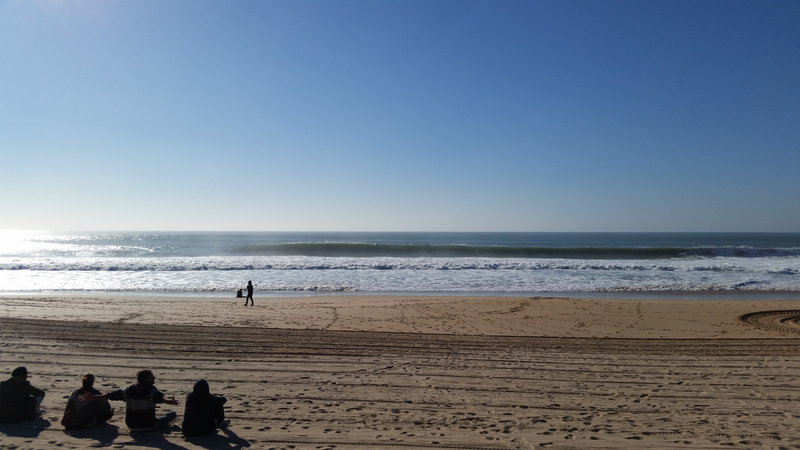 So after my session I got out, ate a quick lunch in my car, and drove an hour north to Peniche to the most famous beachbreak in Portugal and site of an annual WCT contest. 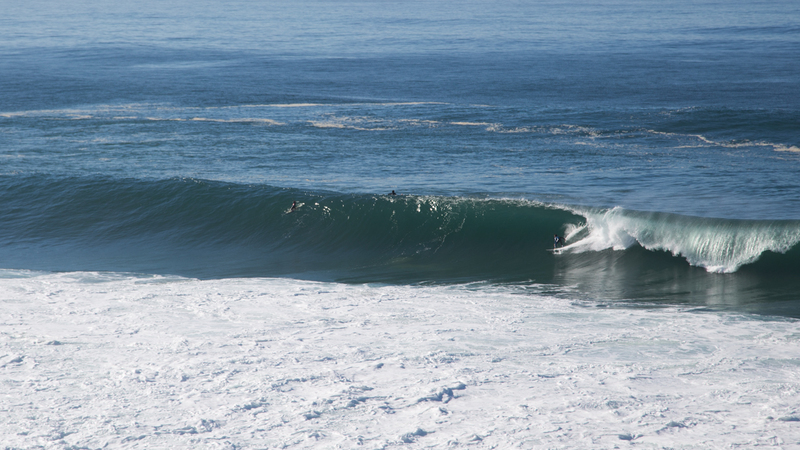 Supertubos has an offshore canyon that makes the location a swell magnet, and with northeasterly winds it was offshore. The wave works best on W or SW swells, but with the big NW swell it beheld solid double overhead tubes, despite being sheltered by the bulbous Peniche peninsula. Most of the surfers in the water that day were professionals, including none other than Artiz Aranburu, who I kept seeing on my trip. I saw a bunch of amazing tube rides. Personally I was mostly worked by the powerful tubing waves; I’ll claim that my heaving beachbreak tuberiding skills are still a bit rusty, but at least I did see a number of beautiful green rooms before being swallowed. Supertubos on the big day. I wish I woulda taken my good camera and just photographed the pros for awhile, it was a barrel-fest. But instead I just go this photo with my phone. 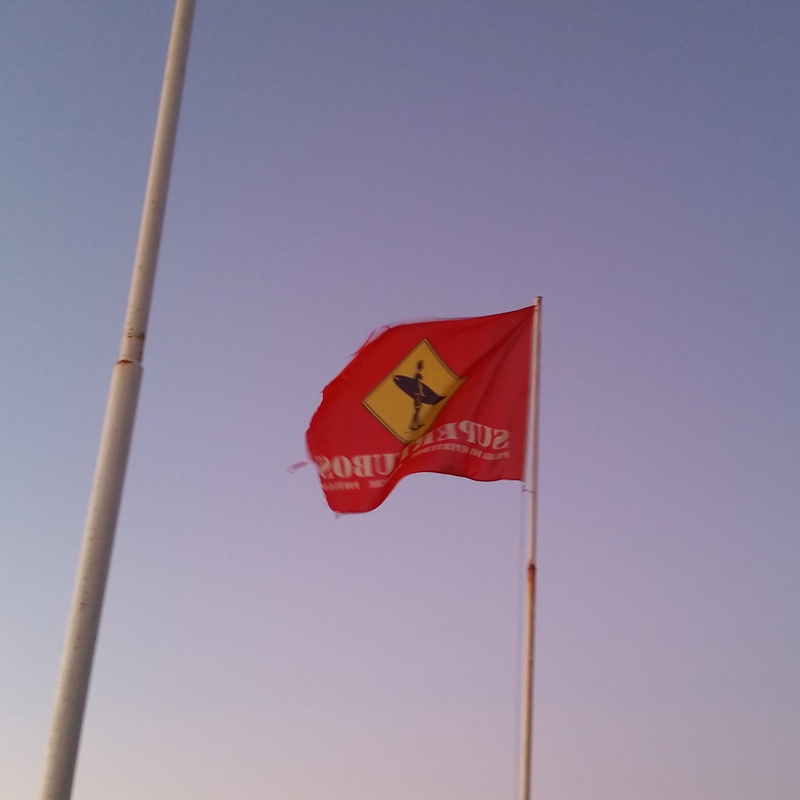 Supertubos has its own flag. The Portuguese take a lot of pride in their waves! On my trip I was mostly solitaire but did make a few friends. In my hostel there was staying a German surfer (of Indian descent) who lived in Holland (whoa, pretty random, huh?) He introduced me to two other people also staying on a lower level in the hostel, a German woman who was taking surf lessons everyday, and a mid 40s Santa Barbara guy. 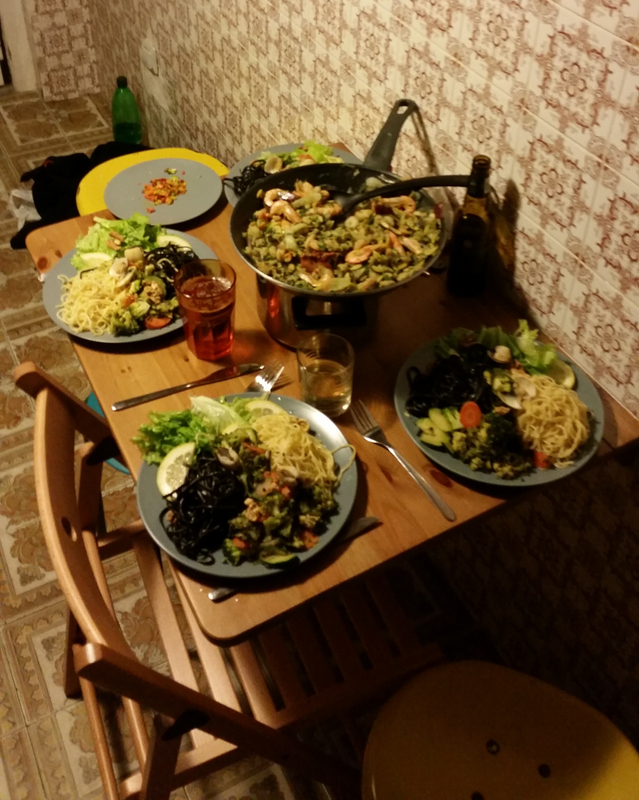 That evening we all had a tasty seafood pasta dinner prepared by the German lady, whose culinary skills were amazing. I also spent a day cruising with a young Italian guy who I met while we were both watching the pros surf Coxos. We ended up driving north to Supertubos and had a great session in waves that were much easier to surf than when I was there the day before and the waves were much larger and more challenging. It was interesting listening to the Italian talk about what its like to be a surfer in Italy, which apparently involves skirting all responsibility to drive for hours to surf decent waves the few times a year the Mediterranean decides to flare up. His stories made me appreciate being Californian! On this trip to Portugal I did not make it to Nazare, the famous wave known for producing the world’s largest waves. I’d heard that Nazare is also a great wave on smaller swells too, but it is about a 2 hours north of Peniche and I never bothered to check it because there was plenty of juice where I was. If an absolutely humungous swell would’ve come so that I could witness a Nazare tow session happen, I would’ve made the trek, but that didn’t happen until my last day and I needed to be driving to the airport, not Nazare. Check out this video if you want to see the incredible monsters the bathymetry at Nazare can produce! 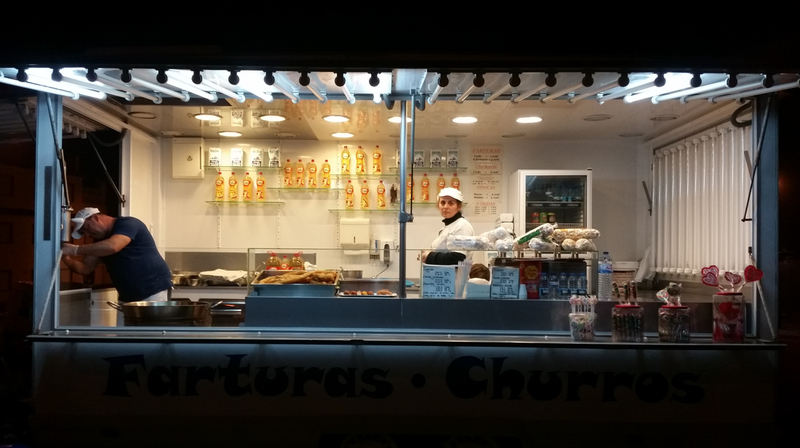 Finally it is worth writing a little about my thoughts on Portugal in general. The people were very nice and the little town of Ericeira felt very quaint and traditional, with narrow cobblestone streets winding every which way and old ladies walking around carrying bags of vegetables. The food wasn’t particularly good as far as I experienced, but I didn’t really seek anything traditional out. The country was a great value, food was inexpensive, lodging was cheap and overall I spent a surprisingly little amount of money; this likely has something to do with the recession that hit the southern European economies lately. I would definitely recommend to my friends that they go and check out Portugal, good waves and good prices make it a worthwhile trip destination! 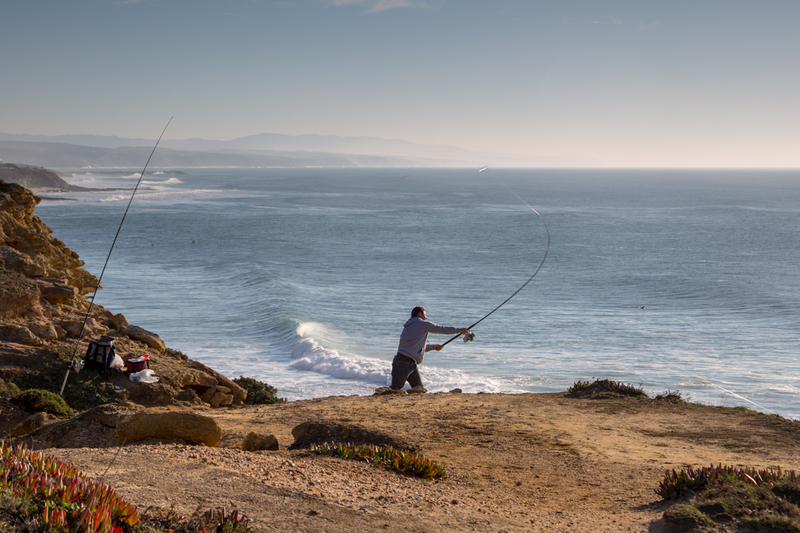 Fisherman casting from atop the cliffs above Ribeira d’Ilhas . He would send his bait flying about 100 yards into the ocean below! OK, up next will be my post about Pais Vasco in Spain, home to Mundaka, Europe’s best pointbreak, and many other great waves….